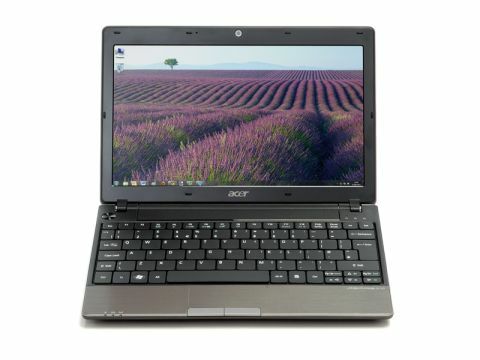 When it comes to slim, compact laptops for studying and working on, the Acer Aspire One 721 is a great choice. It combines some of the better aspects of netbooks – namely, convenience, portability and streamlined dedication – with the more comfortable dimensions of a full-sized laptop. The extra size is welcome, because it means a larger screen and keyboard that make working on the Aspire One 721 for long periods of time perfectly comfortable. The 11.6-inch LED screen is bright and clear, and won't strain your eyes when you're working in programs with a lot of white space, like word processors. The Aspire One 721 is also one of the thinnest and lightest laptops. Weighing just 1.40kg and at only 1.1-inches thick, it's easy to carry along with books and other studying materials. The LED screen and slim design help boost the battery life, which is around six hours, although using the laptop for more strenuous tasks cuts the longevity quite a bit. For office tasks and researching on the internet, the battery does a good job. Power-wise it's a little lacking, with just 2GB of DDR3 RAM and a 1.80GHz Athlon II Neo processor. This means high-end gaming and heavy-duty photo and video editing are out of the question, but for study-based tasks and general computing it's powerful enough, with most basic programs running smoothly. While it might struggle with more complicated tasks, the solid build quality of the Acer Aspire One 721, plus its thin and light design and low price, make this a good choice as a basic study and work laptop. If you're after a more powerful machine for handling more complicated tasks, then the Lenovo G560 is the better choice.